A new restaurant and bar, inspired by the fresh flavours and ultra-hip style of California, has recently opened in Glasgow. So L.A. is the first restaurant of its kind in Scotland, bringing the vibrancy and diversity of the Golden State’s drinking and dining scene to Mitchell Street. So L.A. has been created by RUSK & RUSK, the award-winning team behind The Butchershop Bar & Grill, Hutchesons City Grill, and The Spanish Butcher. The inventive and inclusive menu will appeal to meat lovers, vegetarians and vegans alike, with bold flavour combinations that celebrate the eclectic cultures and cuisines that influence the Californian dining scene. Signature dishes from the kitchen include the Szechuan duck doughnut, sautéed chickpea panisse, street corn and miso glazed beef fillet. The 150-cover bar and restaurant is also set to become a new drinking hotspot, with a unique and creative cocktail menu, a tequila map and a California wine cellar full of the state’s top wines. Even the venue’s decor is inspired by California, and wouldn’t look out of place in the coolest downtown L.A. neighbourhood. Think urban concrete mixed with lush foliage, moody lighting and plush black leather seating. Hidden beneath the bar and restaurant, you’ll find The White Box – a spectacular, subterranean urban garden designed for private functions. 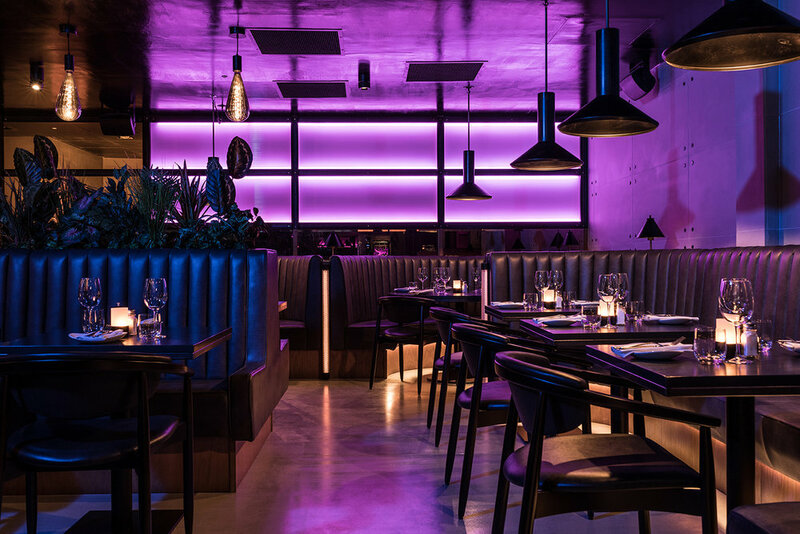 So L.A. is now open at 43 Mitchell Street, offering a wide range of drinking and dining options from 11am through to midnight weekdays and 1am Friday-Saturday. Enjoy Cali-style brunch, lunch, pre-theatre, dinner, cocktails, tequila and wine and live life to a Pacific beat.